A New Journey (in so many ways). Hi there peeps! How are you? Happy Saturday! I have not been good lately blogging (again). The holiday weekend came and gone – and for me, it was crazy until Memorial Weekend. I’m an Innkeeper.. and our inn is in a very tourist oriented area – summer is major for us! So, I’m starting on a new journey. I am still paper crafting.. that isnt going to change. 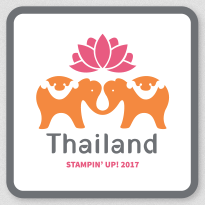 I love my stamping tribe. I need you! But, today is a new chapter in my life and I debated.. do I share it or not. I was up all night Thursday thinking, over thinking – I came up with.. vlogging it. Yep, I am going to vlog. I think. 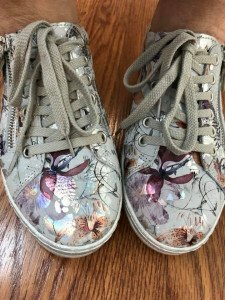 Im scared to “expose” myself to all – but, I think maybe if I can help someone along the way of my new journey, it would make my heart smile. So, along with paper crafting.. we are going to paint the chalet.. PINK. My name is Dawn, and I’m going through the process of being a Breast Cancer Survivor. Im a helper, a fixer, a control freak, a wimp at times.. but I felt maybe sharing this may be helpful and somehow documenting this new normal. I made my first VLOG.. and its here for you to view. Im scared.. its not edited, and they wont be (I have no time for the fuss). However, I’m sharing ME … a lot of me. Im inviting you to share in this journey too. Oh and before I do.. 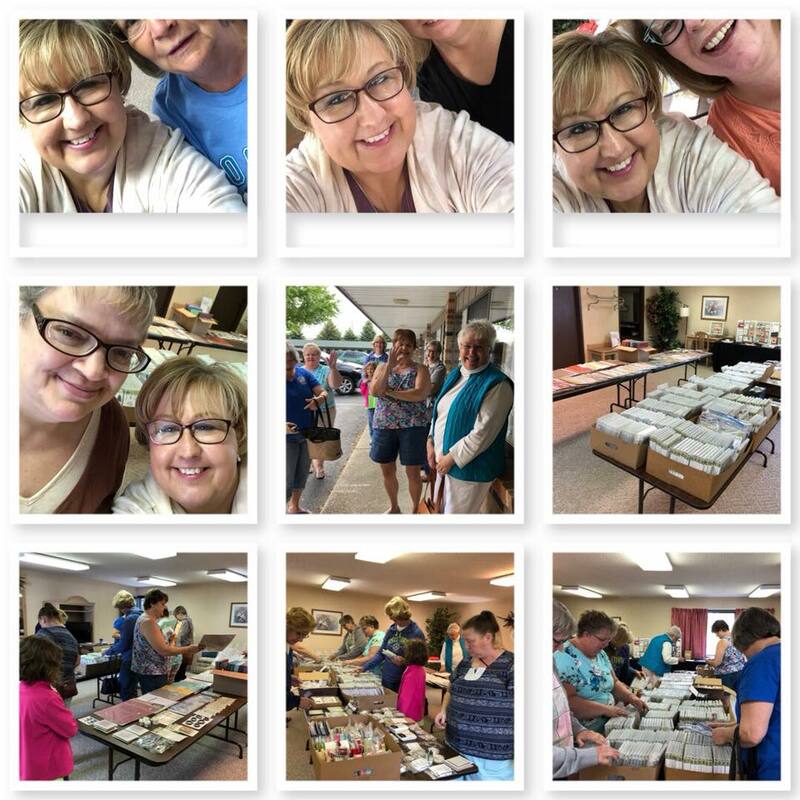 I do want to thank SO many gals who came to my Retired Stamp Sale and Catalog Kick Off. It was a HUGE success and I received a LOT of hugs – which was the BEST part! A few tears shared too.. I love my tribe! I guess saying this out loud, reminds me that Im accepting this and going to fight and be super strong. So, I posted this on Facebook yesterday (not for sympathy, but to share the new road I’ll be strolling). 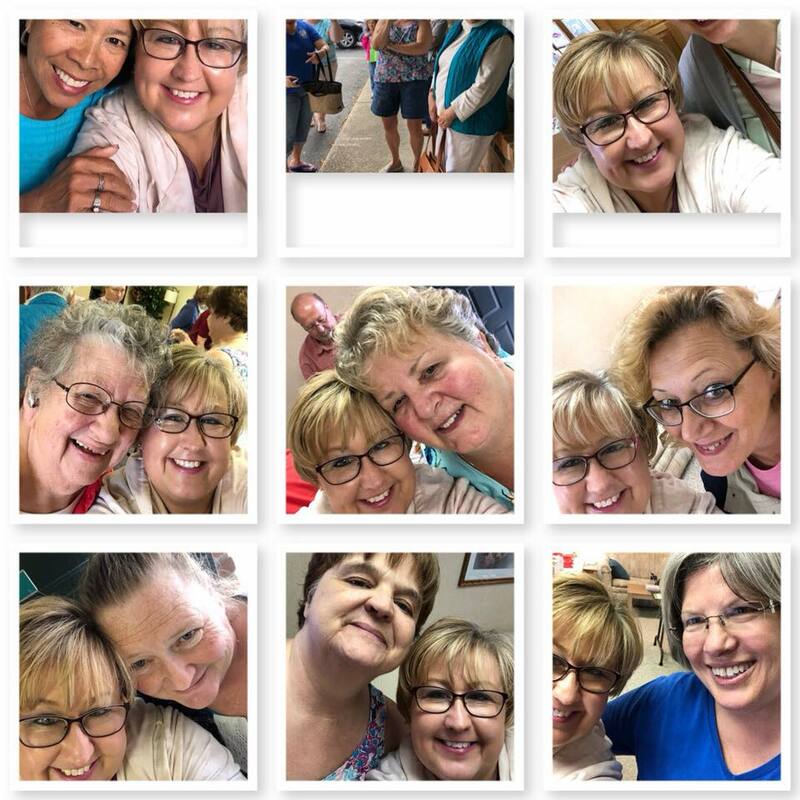 And, thank you ladies.. you made today a better day than it started to be (woke up not feeling so chipper) – love these smiling faces! Love, Love, Love! 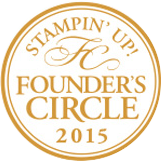 Stampin` Up! Hi there! I wanted to share a little bit of creative goodness with you! I have been sort of absent. Not because I am not being creative (because actually Ive been on a creative binge – kinda). But, I’m doing some remodeling in part of my home. If you’ve done some remodeling, you know what I’m going thru. It is a big chaotic. I feel a little “out of balance” and I’m trying to do 20 things at the same time. Sale A Bration is in full swing. I am booking parties, I am trying videos on advertising my classes – just dabbling into new ways to be online a bit. It is all very time consuming. I am not complaining. Not at all. I love to learn. I love to serve you in whatever way is most convenient for you. I’m getting to the easier part of my remodel project – yay! I feel like I am catching up with the new things I am trying, and here I am .. poking back on the blog! Double yay! With Valentine’s Day coming up, I am feeling inspired with pink, rose red, real red.. white.. Valentine’s Day is such a fun holiday. I give to friends and family! Here are some fun Product Based Classes coming soon! Watch the videos I’ve made, just for you! 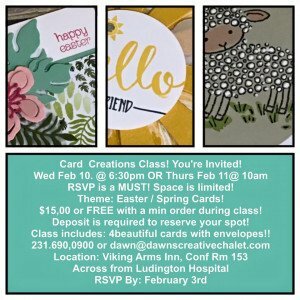 Card Classes Coming Up! February and March 2016! Details in the graphic! Classes, Classes & More Classes!! 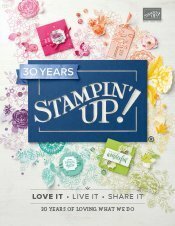 Stampin` Up! Hello there! Today I want to talk about classes! 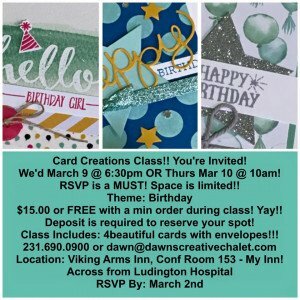 Did you know I locally hold classes? I do! 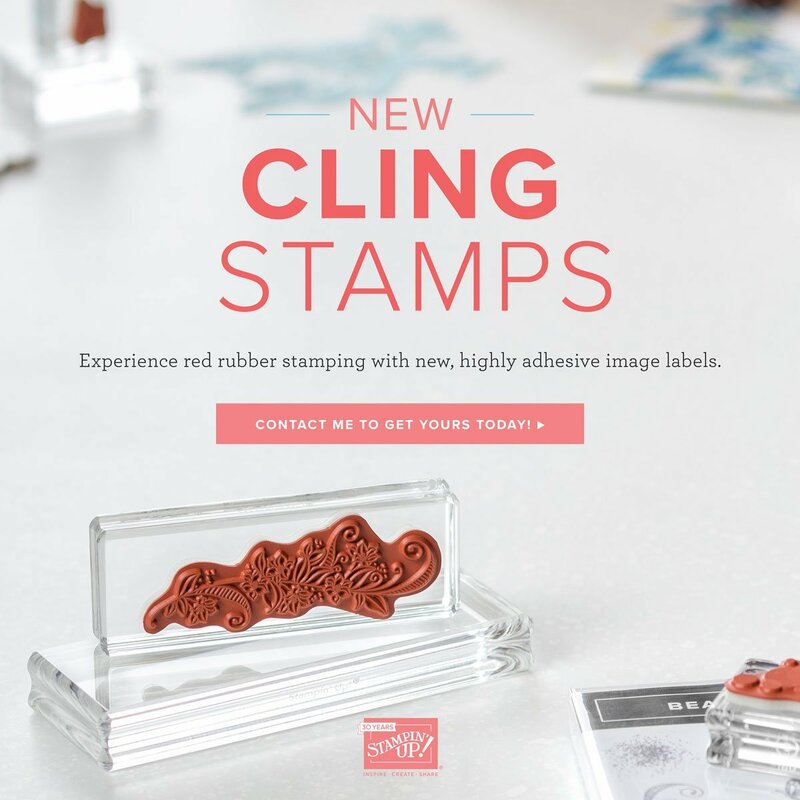 Twice a month & other fun “stamping stuff”! 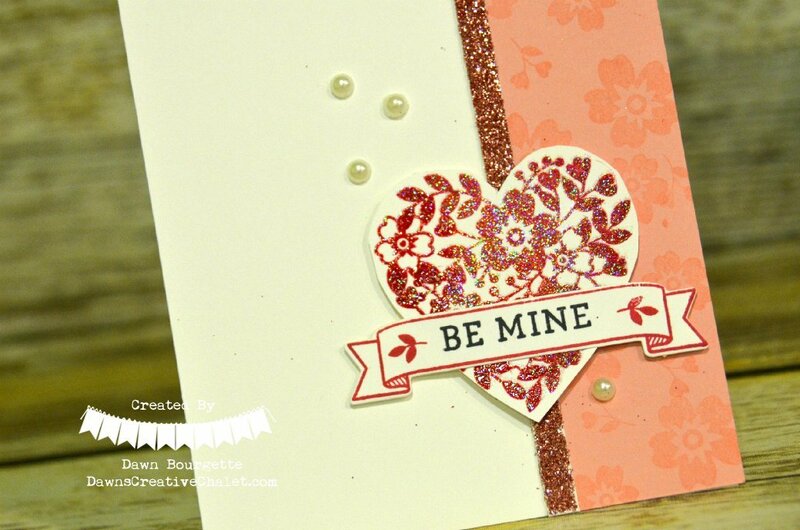 Creative Card Class – held the 2nd Wednesday (at 630pm) and 2nd Thursday (at 10am) of every momth! Themes change and coordinate with holidays that are on the calendar. 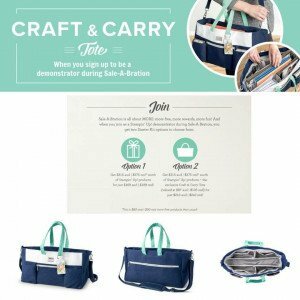 Product Based Classes – these are super fun too! They are a little more expensive BUT you get product to take home and duplicate what we have made in class. Sometimes I use kits from the catalog, and sometimes I make my own “kit” for you! Stampin` Bingo! – this is great fun! I love to play bingo and stamp! I give out prizes and we just have a GREAT time! Card Creations Classes – Each Month A Different Theme! Please bring your own adhesive – you can purchase it from me the night of class if you forget yours. 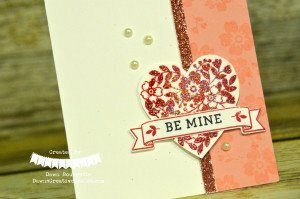 Make 4 easy stress free cards including envelopes! Per your request.. days for class have changed! If you bring someone new to me, get a set of the cards we made, FREE – You MUST RSVP your guest by the RSVP date to qualify as I need to prep for this and cut extra paper. 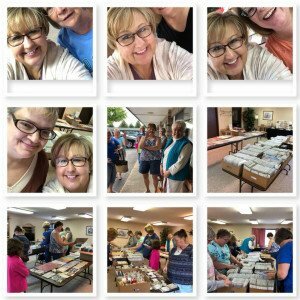 Perpetual Calendar Kit Class – January! Cost: $84.00 + 1 Sale A Bration FREE Item Of Your Choice! 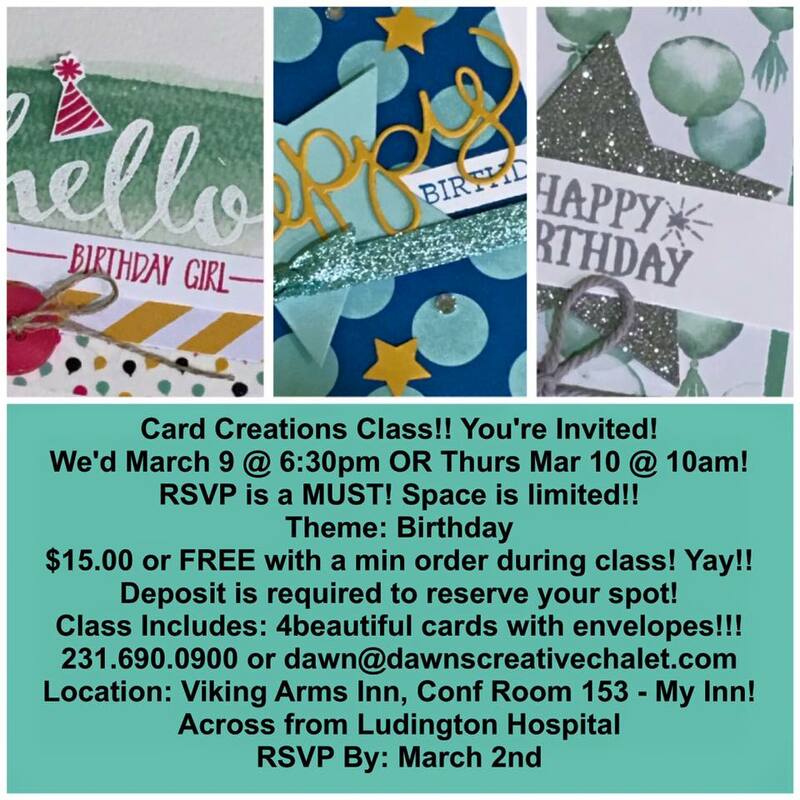 What your class includes: 1 Perpetual Birthday Calendar Project Kit, 1 coordinating stamp set “Perpetual Birthday Calendar”, and 3 blocks for your stamp set: blocks B, G and H. You will receive a $5 coupon to use on any size order the time of class. 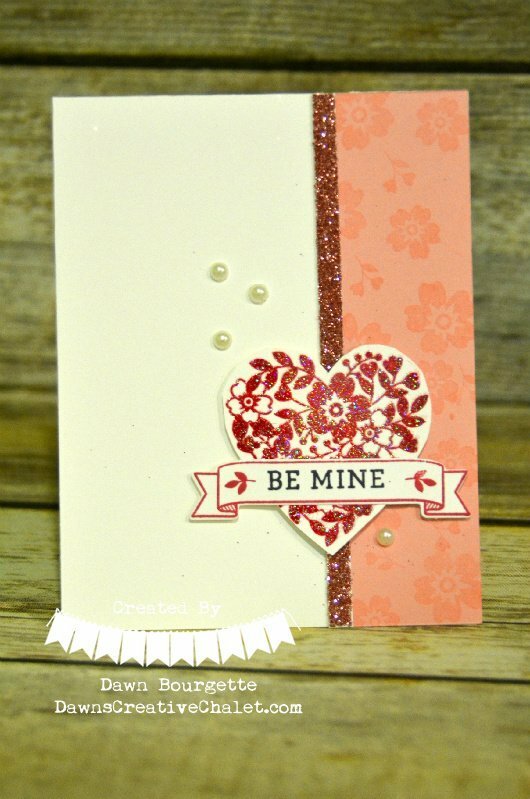 Botanicals Garden Suite + Envelope Punch Board – February! 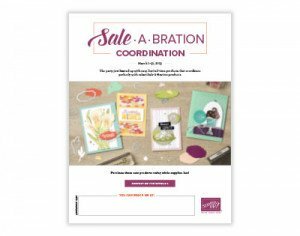 Cost $123.00 + 2 FREE items from the Sale A Bration Catalog! What your class includes: Botanicals Builder Framelits Dies, Botanical Blooms Stamp Set, Full Package of Botanical Gardens Designer Series Paper, Package of Botanical Gardens Jewels, Set of Botanical Gardens Washi Tape, Botanical Gardens Card Stock Pack, and our Envelope Punch Board (yes, you get to take all of the extras home with YOU!!). 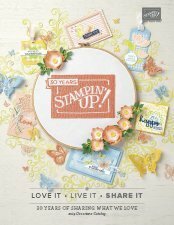 PLUS, you will get 2 items FREE (from the Sale A Braton Catalog – the Botanical Gardens Designer Vellum Stack (page 4) AND the Botanicals For You Stamp Set (page 4). You will get a $5 to use on any order during your class!!! Enjoy The Little Things Project Kit + Stamps and Blocks! March! Cost: 78.00 + 1 FREE Sale A Bration Item, your choice! What your class includes: 1 Enjoy the little things project kit, the coordinating stamp set, “Enjoy The Little Things”, and 2 blocks for your stamp set, block D and block H.
You will also get to choose 1 Sale A Bration Set – YOUR CHOICE and a $5 coupon the night of class – use it on ANY size order! While I am here, I wanted to remind of you this week’s Weekly Deals! Hello there! Welcome! How are you today? I have been wanting to ink up this stamp set, called, Too Kind. It is adorable. It is best to use this set with the Stamp A Ma Jig. If you are not sure on how to use this wonderful little tool, just click on the link below and I show you just how to master the jig!